Believe it or not, your iPhone is one of the dirtiest things you own. Just think about it… You take it everywhere. You put it on tables in bars, you’re using it in the subway and it various places which don’t happen to be the cleanest. It’s basically unavoidable for your device to catch a little dirt, especially if it comes in a lighter color and you don’t have a case for it. Therefore, it’s absolutely normal to give it a bath from time to time! No, we’re not saying to sink it in water, as Apple doesn’t make waterproof handsets yet, but there are a few things you can do in order to make it look better. Below you can find a short list with tips on how to clean your iPhone and make it look as new for a longer time! The display is one of the parts which gets dirty very easy. After all, you don’t wash your hands every time, before using it. It’s a fingerprint magnet and if you have greasy or oily hands, after eating or working with different substances, a lot of stains will remain on it. In order to clean your iPhone’s display, remember to use nothing else but water. Avoid any cleaning solvents, such as Windex, as water is perfectly fine. Your phone’s display has various coatings on it, like oleophobic, anti-static and antiglare. Using products on it can erode this coatings and affect the functionality of the display. Soak a lint free microfiber cloth in a bit of water and carefully rub the display, in order to remove any stains. Be careful at the openings, as you don’t want any moisture to get there. Remember, it’s not waterproof! That tiny lens on the back of your phone can also get very dirty. Depending on how ‘lucky’ you are, dirt can even get under the lens, affecting the quality of your photos. First of all, use a tube of compressed air and see if the dirt on the lens goes away. If it doesn’t, we have some bad news for you: there’s something under it. Unfortunately, this is a delicate operation. Our recommendation is to take the phone to a specialized service, as they will know what to do. Still, if you want to know how to clean your iPhone’s lens, and by that we mean under it, here’s a video made by the folks from CNET. Proceed with care! 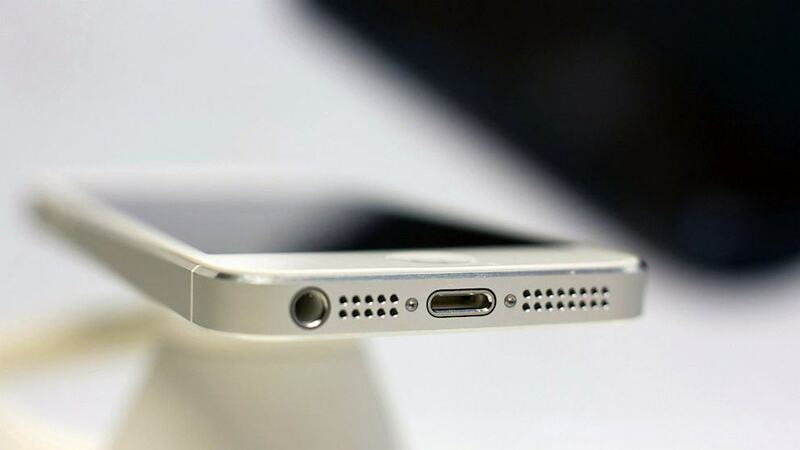 One of the causes of your phone’s charging problems is the dirt stuck in the charging port. Remember, you’re taking in various places and keep it in your pockets or bag a lot, so dirt or debris might stuck in the port. But don’t worry, as there’s a relatively easy way to clean your iPhone’s charging port. You don’t need to take it to a service, as all you need is a toothpick and some patience. Power off the phone and carefully remove all the impurities gathered in your phone’s charging port. Eventually, use a compressed air can to make sure that everything is gone. Power it back on and see if it charges normally. Just like the charging port, your iPhone’s jack is another magnet for debris and other stuff. If you notice the the headphone icon constantly showing on the display, even though they’re not plugged it, it means that you have a problem. Apply the same solution, using a toothpick or even something thinner, like a needle for example, in order to remove all the stuff from the jack. Now that you’ve learned how to clean your iPhone, why don’t you keep it that way for a longer period? A screen protector can do wonders. Besides protecting your display from those nasty scratches resulted from interacting with keys and other ‘harmful’ objects, it will also keep it clean. Opt for a glass screen protector. They might be a bit costly, compared to regular films, but your display is safer than ever. Not to mention that stains will stay away from it. As for the cases, you’re lucky. 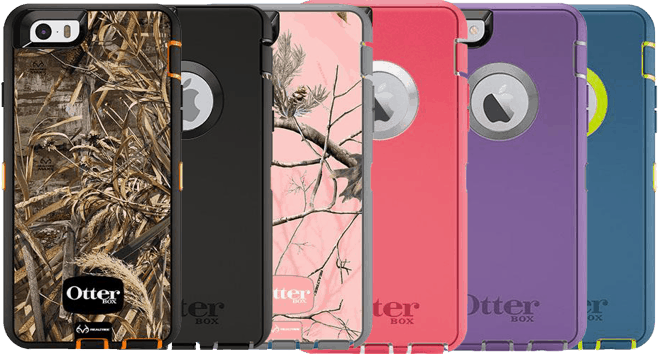 There are tons of models available for the iPhone, in various shapes and colors. Our recommendation is to pick something as slim as possible, with cutouts for the ports (or with a cover for the Lightning port, at least). It might not keep dirt away from ports, but the back and sides of your phone will stay clean and scratch free. Also, depending on your case’s model, it will protect the phone in the eventuality of a drop. And this is where our list ends. 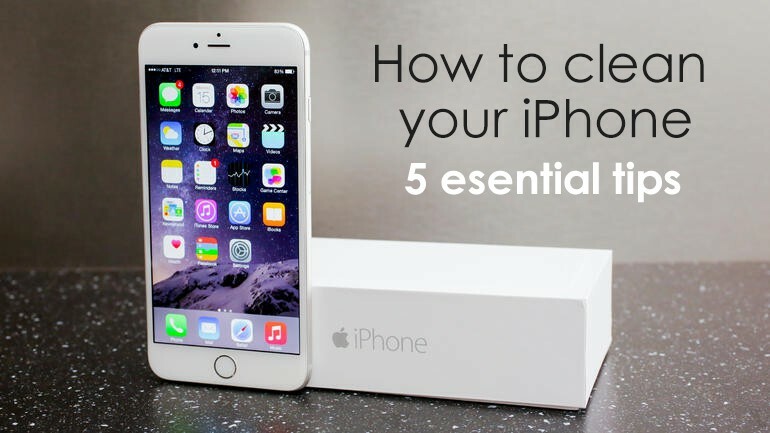 Above you can find five relatively easy tips on how to clean your iPhone. Since it’s one of the most popular smartphones in the world’ we’re absolutely sure that there are many users out here who can share from their experience. So, if you have any other pieces of advice which can help people keep their iPhones in mint condition, feel free to share them with us, using the comments section below!